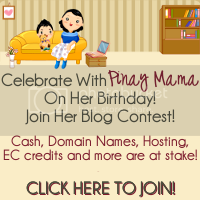 This entry was posted in Blog Contest and tagged blog contest, Pinay mama on February 14, 2011 by Yami. Thank you for joining! Goodluck po!